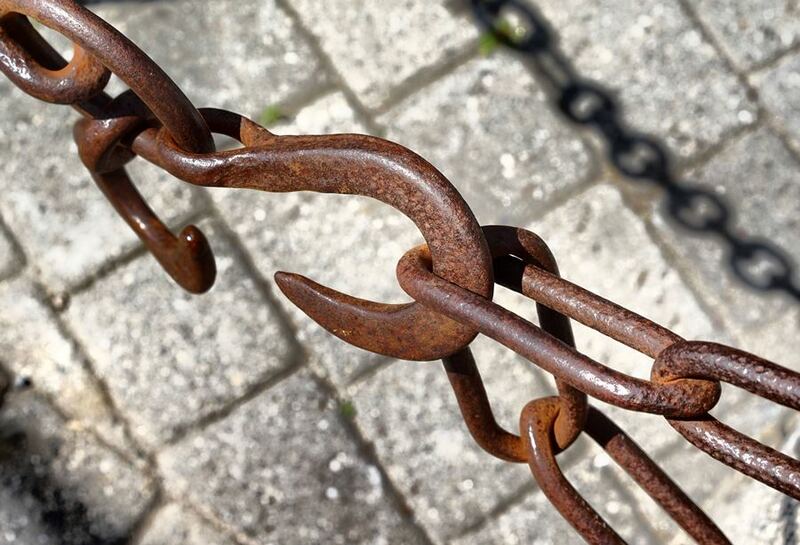 On a short alley lot at Perkins Cove, Maine, a small hook holds a chain together. This metal forging is very old, perhaps older than seventy years. Today her job is lightweight duty; she keeps tourists off private property. This old hook is retired; this was not her first calling. We may ask, what was her job of yesteryear? Was she fitted to a proud ship, worked by a crew who perhaps never gave thought to the concept of respective longevity? I will be utilized so long as I’m useful. I can work if my construction exceeds my strain. I can outlast my creator if men take care of me. I can outlast Man if men need me. A hundred years ago a metalsmith forged a hook and loop out of steel. He used the skills of his eyes, arms and hands to form her just so. He pulled the finished hook from the cooling water bucket, took off his gloves and held it in his hand. “You will outlast me,” he said to the beautifully-fashioned, warm-wet steel. “You’ll raise great nets of fish or carefully lower a ton of timber, and men will trust you with their lives. If they do their job, they know you will do yours. This entry was posted in non-fiction, Perkins Cove. Bookmark the permalink.